The Journal of the Travellers' Aid Society will begin as a three volume, slipcase set (we are hoping stretch goals will unlock more volumes at no extra cost to you! ), jam-packed with articles for Traveller campaigns. 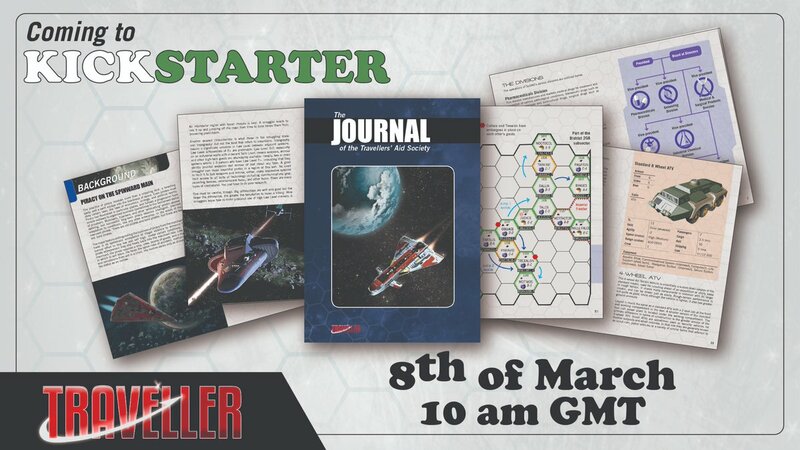 From new ships and adventures you can slide into any game session, to many playable alien races and deep looks into aspects of Traveller lore, these Journals are going to be superb companions to your games. Much of the first volume will be free to download on Friday from the Kickstarter page, and we will be asking for comments on the contents! The first errata in the new JTAS is mine! One of the cities on the map, "Atarishii Okayama" ("New Okayama", I suppose) uses WRONG japanese, even 3500+ years in the future . "Atarashii" ("New", from the "新" kanji, or "Shin/Atarashii") is the correct word, for starters. However, the reading "Atarashii" is NEVER used with place names in the Western way, you find "Shin" instead. But even Shin-Okayama would be wrong, because this adjective is used with city locations in mind, not for the city itself (an example is Shin-Ōsaka, short forShin-Ōsaka-Eki, literally New Ōsaka Station). Traditionally, Japanese colonists (in Hokkaido, mostly) just recycled the names of their homelands (there is a Hiroshima in Hokkaido, for example, later renamed Kita-Hiroshima, "North-Hiroshima" -NOT Shin-Hiroshima-, because Hiroshima City already existed), therefore just call this city "Okayama" or "New Okayama" (Japanese have adopted LOTS of English words, and "ニュー"/"New" is one of those).